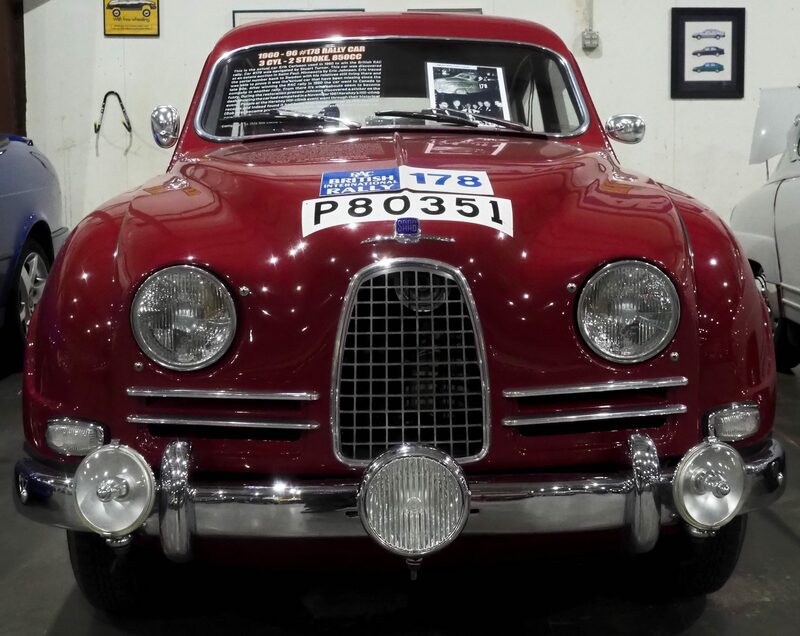 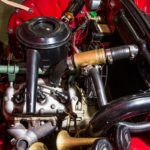 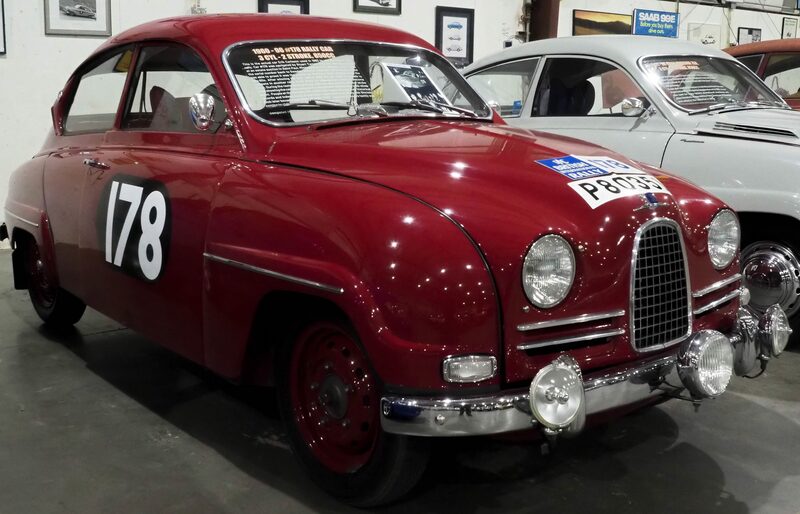 This is the actual car Erik Carlsson used in 1960 to win the British RAC rally. 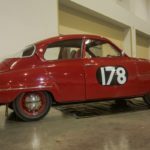 Car #178 was navigated by Stuart Turner. 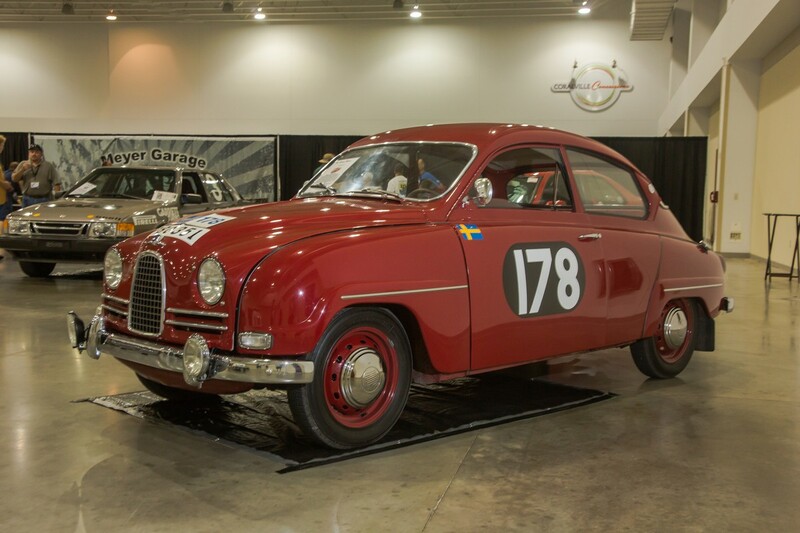 This car was discovered at an estate auction in Saint Paul, Minnesota by Eric Johnson. 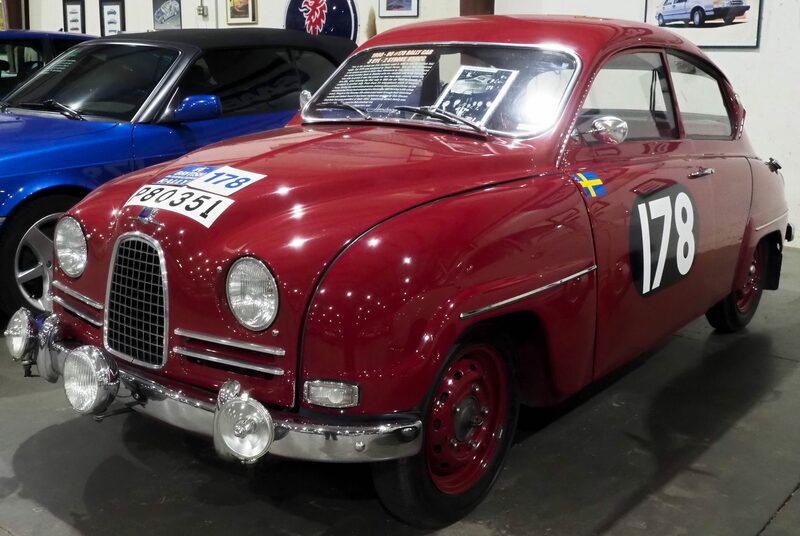 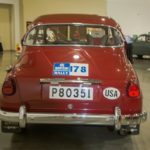 Eric traced the serial number back to Sweden with his relatives still living there and was able to prove it was the actual car that have been missing since the late 60s. 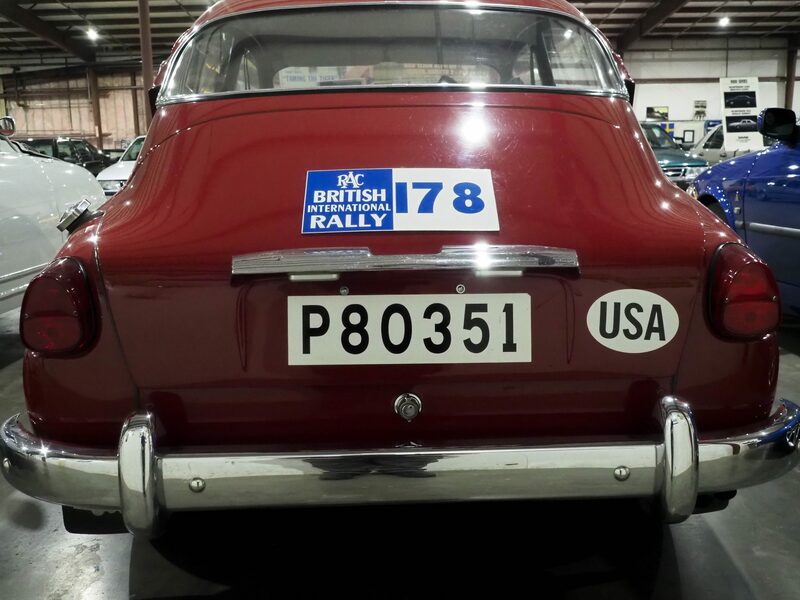 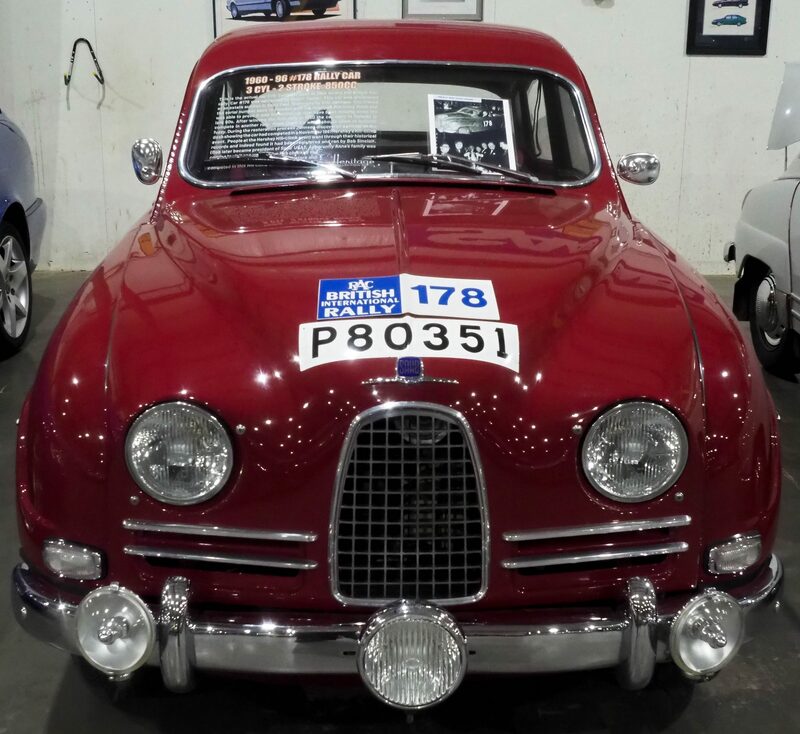 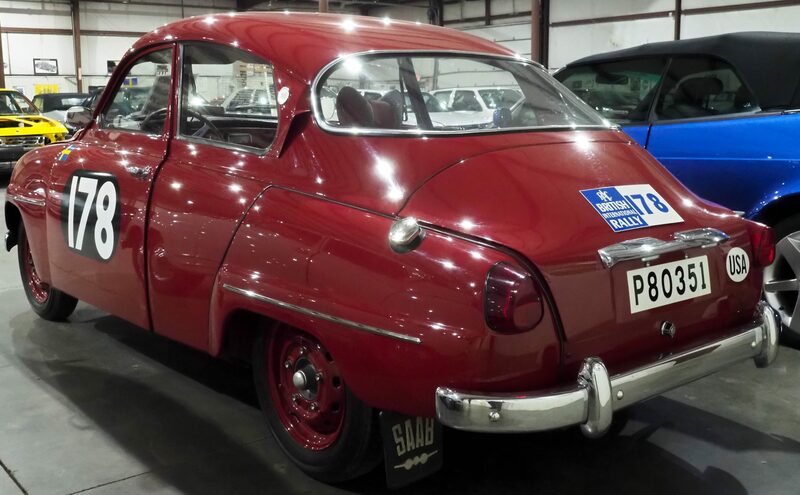 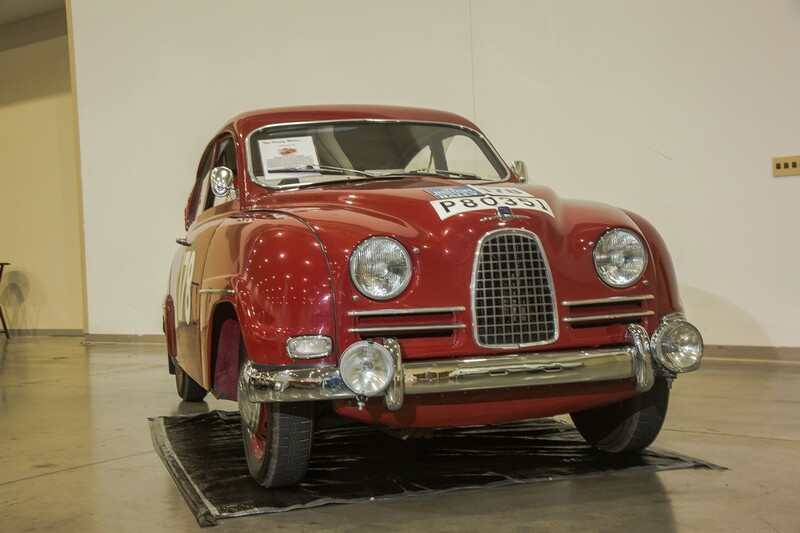 After winning the RAC rally in 1960 the car went to Canada to compete in another rally. 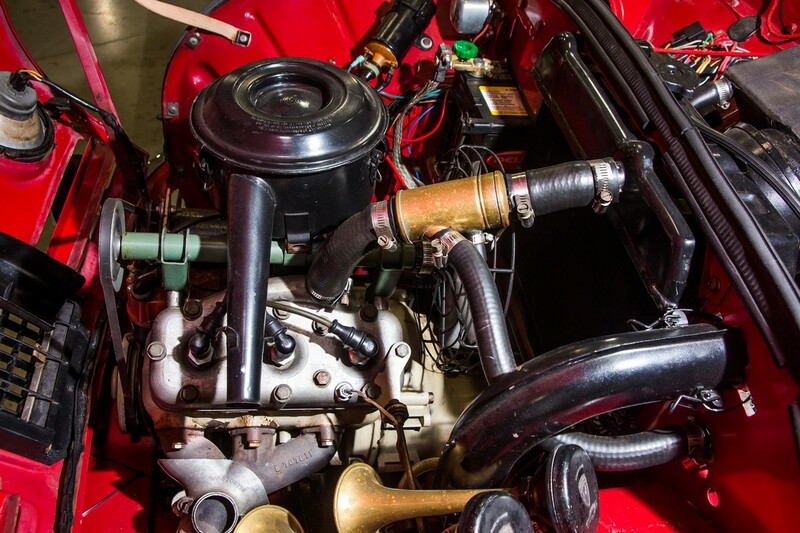 From there its whereabouts seem to become fuzzy. 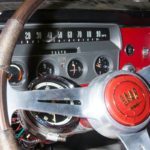 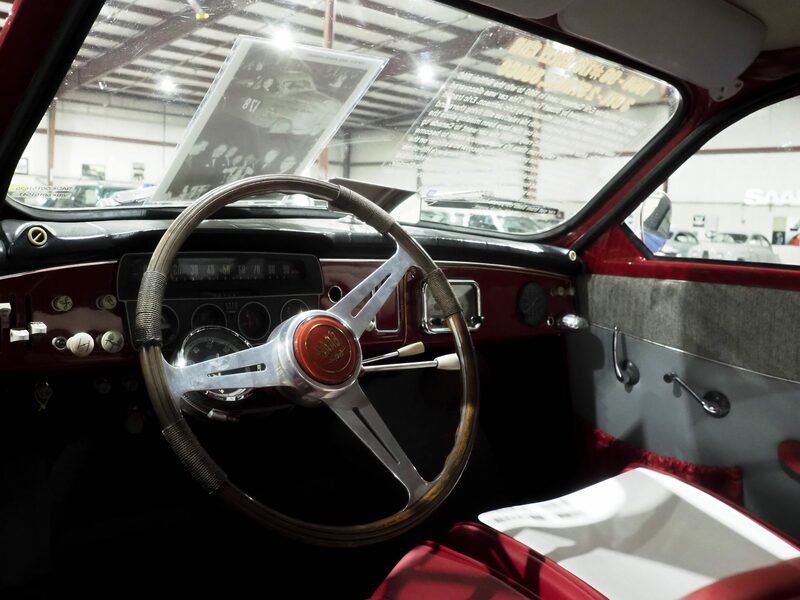 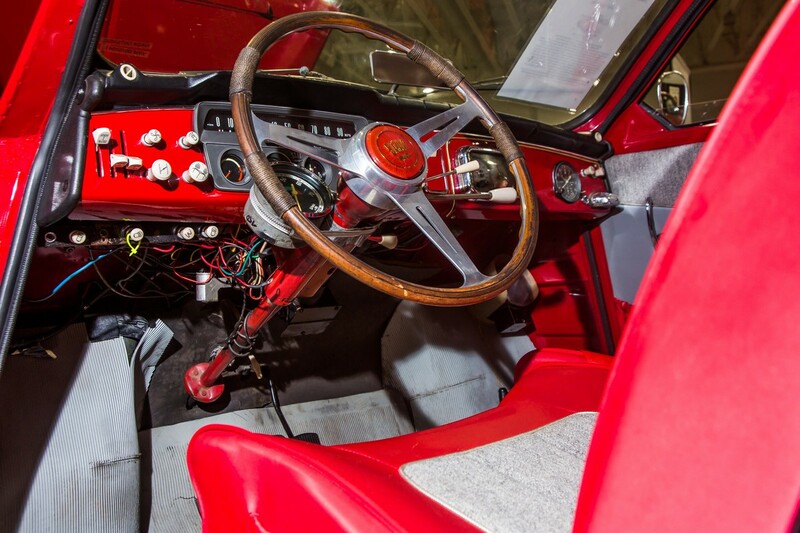 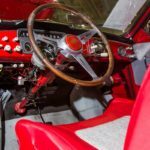 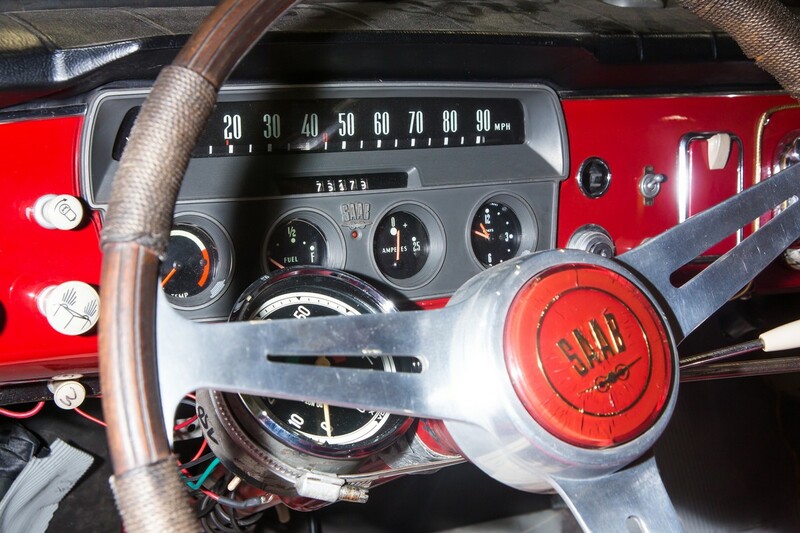 During the restoration process Johnson discovered a sticker on the dash showing the car had competed in a November 1961 Hershey’s Hill-climb event. 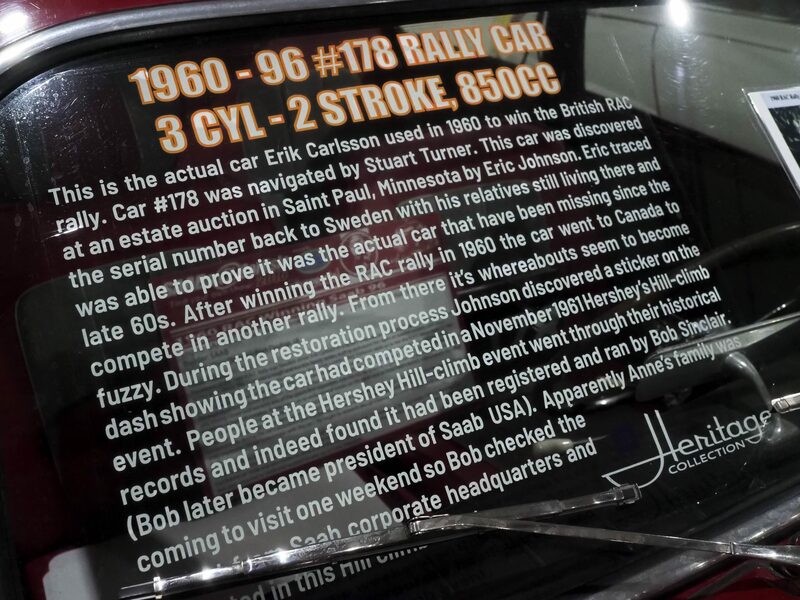 People at the Hershey Hill-climb event went through their historical records and indeed found it had been registered and ran by Bob Sinclair. 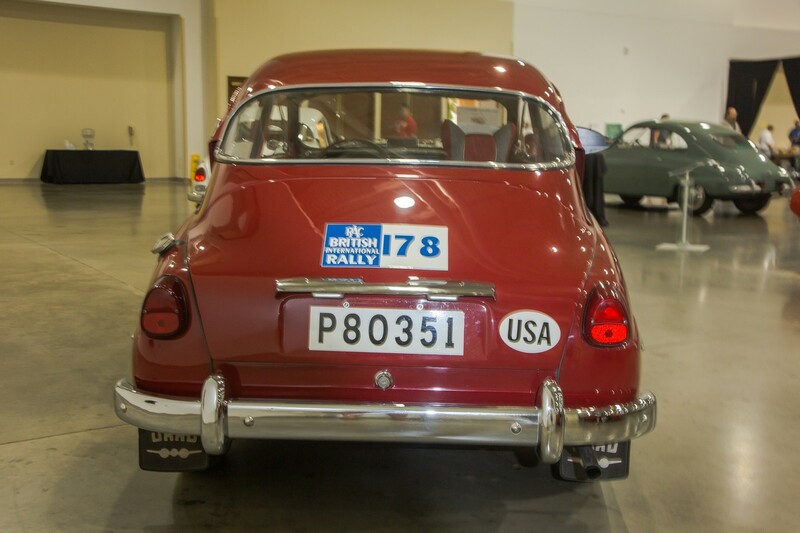 (Bob later became president of Saab USA). 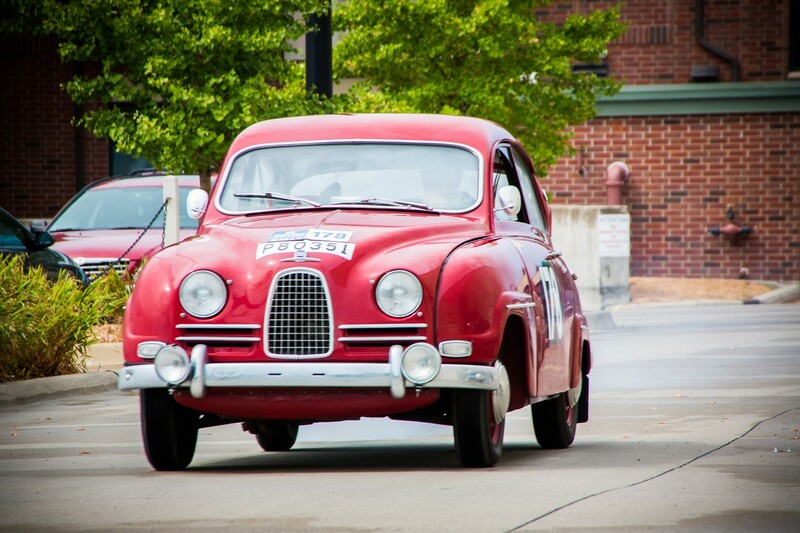 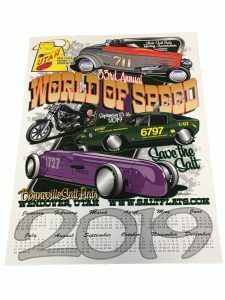 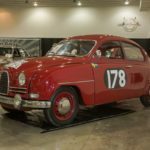 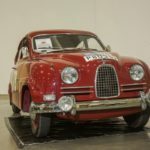 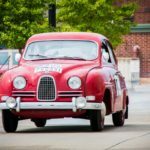 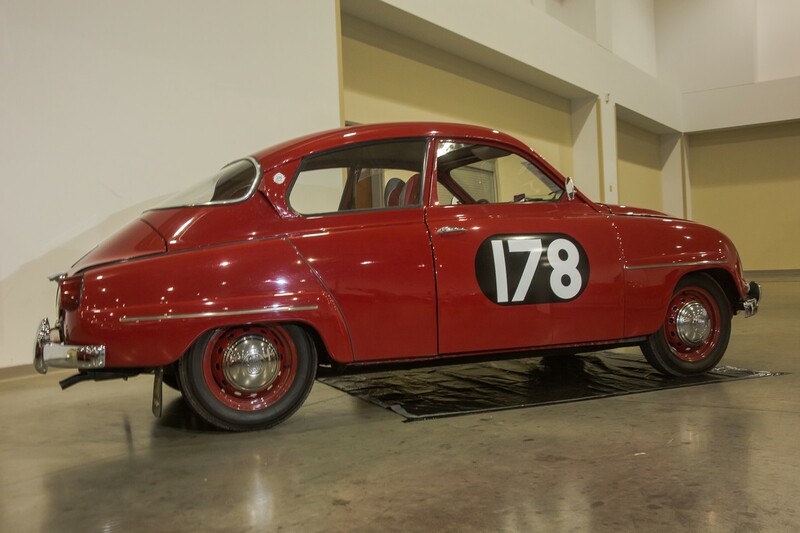 Apparently Anne’s family was coming to visit one weekend so Bob checked the car out from Saab corporate headquarters and competed in this Hill climb event.